The whole frame of the machine is made by steel. Through normalizing and high-frequency vibration, we eliminate the internal stress and ensure the overall accuracy. 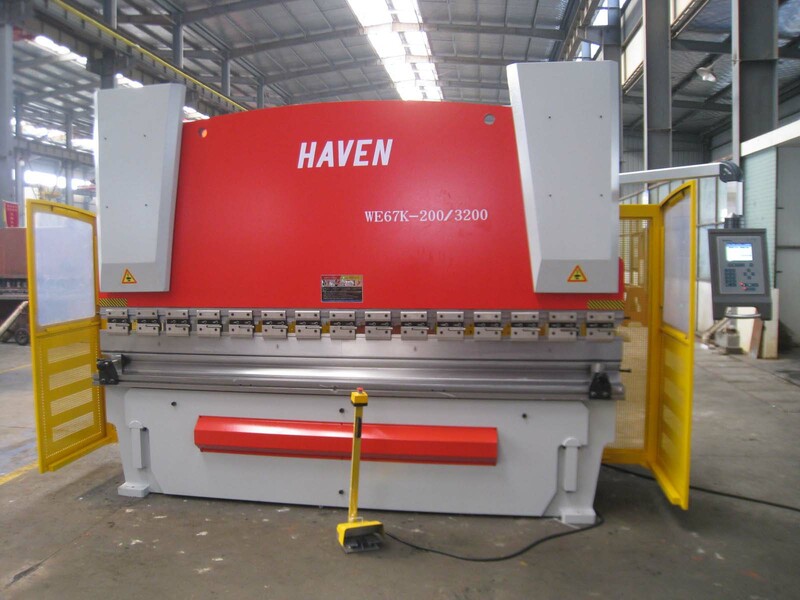 Having increased the thickness of the working table and slider, the machine has a high degree of rigidity. So when we press the material, deformation of the working table is small. Also the work pieces are of excellent straightness and angle consistency. The DA-52 is an integrated CNC controller which offers all basic CNC control functions up to 4 axes for not only conventional press brakes but electro-hydraulic ones. The TFT-LCD display and the modern front panel layout guarantee a very user-friendly and easy to program controller. Panel based housing makes it available to mount it directly onto electric cabinet or inside a pendent cabinet. Special shortcut keys are designed for direct, rapid and easy programming. Angle programming of Y axis, crowning compensation and force control are offered as standard configuration. DA-52 offers a stable and reliable solution by taking advantage of the most up-to-date technology. USB interface is equipped to facilitate quick backup of product and tool data. This machine has sufficient strength and rigidity, low noise, smooth operation. In this environment can work continuously more than 16 hours.